In stock - low quantity. Order in the next 19 hours, 55 minutes and it will go out today! 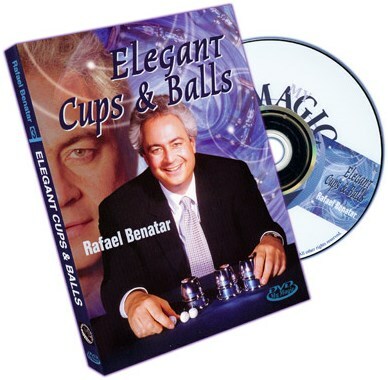 Rafael Benatar's Cups and Balls routine has long been a feature of his act. 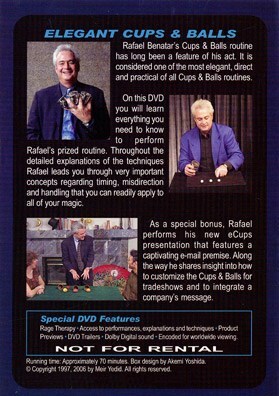 It is considered one of the most elegant, direct and practical of all Cups and Balls routines.